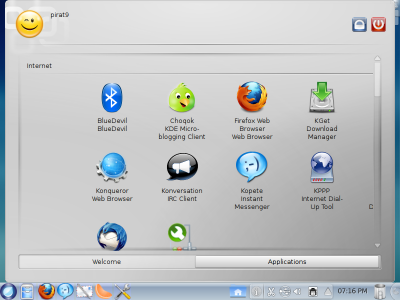 Mandriva 2011 Beta 2 is Available for Testing ! Mandriva 2011 beta 2 was supposed to be released a week ago, but the release schedule was delayed by last minute defects discovered by the development and testing teams. In order to get hold of beta 2, you can visit your favorite Mandriva mirror and check devel/iso/2011. Beta testers are fortunate enough to lay their hands on new login manager functionalities, a new launcher and welcome application, overall look and feel enhancements, new panel, LibreOffice 3.3.0, and new artwork with a default theme. That is what you all see on the surface. At the core, the release is equipped with the latest kernel 2.6.38.3, gcc 4.6.0, systemd 24, and many more system and application packages. Mandriva beta 2 is available for both 32 bit and 64 bit Intel architectures, in the form of Live CDs, which can be installed in the system on demand.